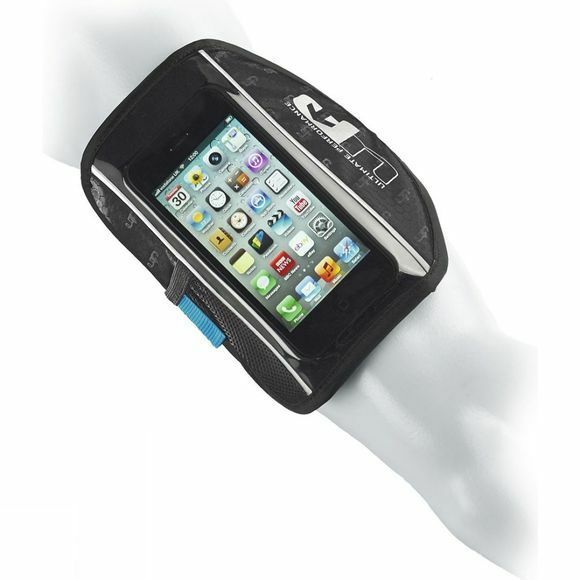 The Ultimate Performance Glastonbury Plus Arm Band is the ideal way for any athlete to carry their mobile phone whilst they train. It's easy to use as the touch window enables the use of a touch screen device whilst still in the carrier. The super-reflective trim gives added safety in low-level light conditions plus the wicking backing wicks moisture away from the skin to reduce irritation during wear. The main pocket is sized approx. 7.5cm x 14cm with velcro loop closure to secure devices and comfortably fits standard size models of iPhone 8 and Samsung Galaxy S9. 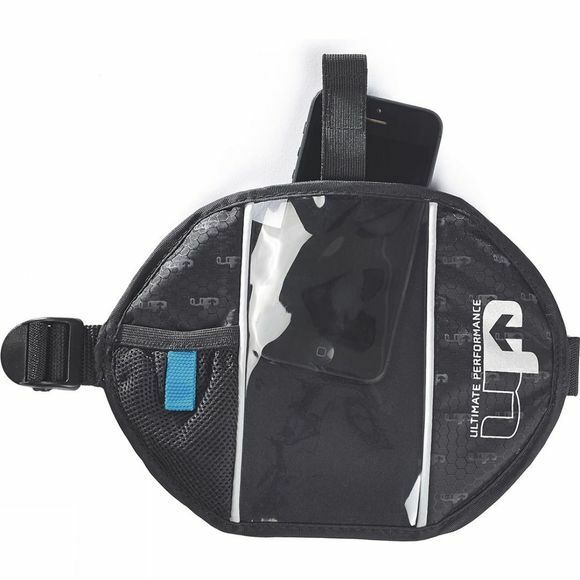 There is also a small mesh pocket included for excess headphone cables or keys. Wicking back for added comfort during training.